Embraer and Saab today have signed an agreement that establishes a partnership for joint management of the F-X2 Project for the Brazilian Air Force following the Memorandum of Understanding announced on July 11th, 2014. The partnership agreement is part of Saab’s commitment to deliver industrial co-operation in relation to the F-X2 project. Under this agreement, Embraer will have a leading role in the overall performance of the programme. Embraer will also undertake an extensive share of work in the production and delivery of both the single and two-seat versions of the Gripen NG, Brazil’s next-generation fighter jet. Embraer will be responsible for extensive work packages in systems development, integration, flight test, final assembly and aircraft deliveries. Embraer will also participate in the coordination of all development and production activities in Brazil. Furthermore, Embraer and Saab will be jointly responsible for the complete development of the two-seat version of the Gripen NG. Beginning in the second half of 2015, a team of Embraer engineers and technicians will be based in Sweden to conduct initial training in the maintenance and development work for the Gripen NG. This skill and competence will subsequently be transferred to Brazil. Embraer and Saab will build an Engineering Centre at Embraer's industrial plant in Gavião Peixoto, in the state of São Paulo, to support operations of the Gripen NG fighters with the Brazilian Air Force. The implementation of the partnership for joint programme management between Saab and Embraer is subject to the F-X2 contracts between Saab and COMAER (Brazilian Air Force Command) becoming effective. 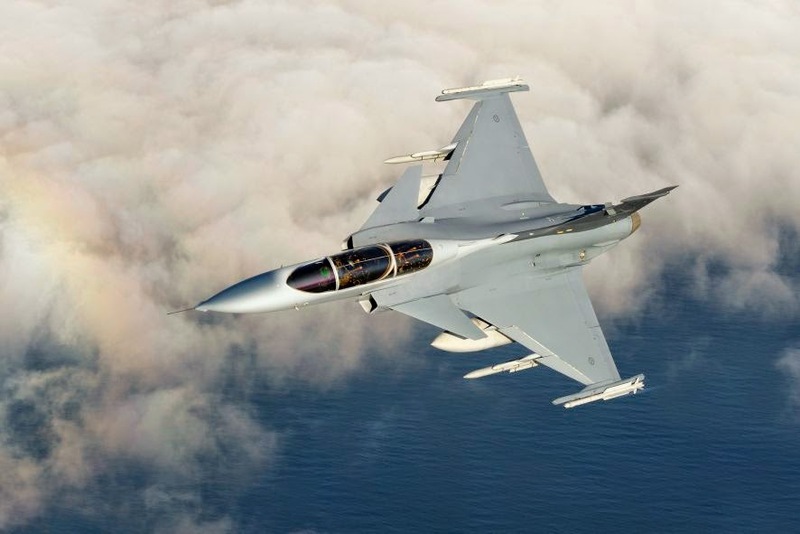 The contract between Saab and COMAER for Gripen NG and the associated industrial co-operation contract will come into effect once certain conditions have been fulfilled. These conditions are expected to be fulfilled during the first half of 2015.